What are the differences between cold wax and encaustic? The main similarity is that both CWM and encaustic medium contain beeswax. However, CWM is used at room temperature, while encaustic involves heated wax. Why use Cold Wax Medium? It extends and adds body, aids in drying time, increases transparency and workability, does not require the special ventilation and set up of encaustic, and allows the artist to build up textural effects and layers. Using CWM also allows the oil painter to dispense with concerns about traditional lean-to-fat rules for building up paint layers. What options are there for purchasing and/or making Cold Wax Medium? CWM can be made by the artist, which is good news for people who may live where it is not readily available for purchase, or for artists who wish to control and monitor the ingredients present in the wax. When purchasing commercially made CWM, you may choose from several brands-- Gamblin and Dorlands are the most common. Check ingredients for the differences between them; Dorlands contains microcrystalline wax in addition to beeswax, for example. An advantage to Gamblin CWM is that there are a number of other mediums made by Gamblin that can be added to their CWM to vary its characteristics –to add gloss, quicken drying time, etc. Which art materials can be used with CWM? CWM is compatible with oil based paints, paint sticks, powdered pigments, powdered charcoal and graphite, pastels, and other materials used in 2D mixed media work. It should not be mixed with water based paints such as acrylics and watercolor. Water soluble oils may be used, but the solvent-free aspect of these paints is lost since the wax itself contains solvent. What techniques can be used with CWM? Many artists use CWM in traditional brush painting, but due to the thickness it adds to oils, an oil/wax mixture is also very well suited to applications with palette knife, brayers and other tools. This thickness also means that the paint surface will hold textures that may be applied by pressing, scratching, scraping, etc. with various tools. In addition, image transfer, collage, and printmaking techniques may be explored. A rigid support is generally recommended if the paint layers are built up to much thickness. CWM mixed with oils may crack on a flexible support. Gessoed paper or multimedia papers may be used if mounted and/or framed in a way that protects them from flexing. Do I need to use solvents with CWM? CWM itself contains some solvent, so a small exposure is inevitable. However the amount of solvent used while painting, or in cleaning tools etc. is up to you. Cleaning is possible with baby oil or vegetable oil rather than solvent. If solvents are used in painting techniques, a good brand of odorless mineral spirits is recommended for ordinary use. For occasional stronger solvent needs, try a citrus based solvent. Is it OK to heat CWM? There are a number of artists apply heat to CWM, but please be advised that because of the solvents it contains, this must be done with extreme caution and excellent ventilation (preferably in the out of doors.) Working in encaustic rather than cold wax is a safer option if you want to use heat in your work, as encaustic products and procedures take heat and its safe use into full consideration. What ratio of CWM to oil is best? Any ratio is possible, although for most purposes, a good ratio is about 30-50% wax to paint. Drying time for any particular mixture of CWM and oil depends on many variables, including the thickness with which it is applied, the color or type of paint used, the temperature and humidity in the air, and the type of support used. Generally, thinner layers dry more quickly (they may set up and become tacky to the touch in a few hours.) Remember that your painting will dry from the outside in, so allowing thinner layers to dry a bit before adding more on top is a good idea. Can collage and found objects be incorporated into CWM paintings? Yes—there are several ways to use collage and found objects with CWM. One way is to attach these elements to the painting substrate before you begin painting, using any method of attachment suited to the material you are using. You can also layer collage elements in with CWM during the process of building up the layers of the painting—in this case, lightweight objects will probably work best, such as tissue, light fabric, rice paper. You can theoretically use any material that will not be affected by the solvents in the wax, as long as it is dry (a dry leaf, for example, rather than a fresh one.) Simply lay the object into a bed of wax and/or paint, and seal over with more of the same. A third approach (for a painting done on a wood panel) is to affix collage elements at the end of the painting using nails, screws or bolts. Is CWM compatible with other oil mediums? Yes, there are products such as alkyd based gels, drying agents and glossy finishes that can be used with CWM. For example, Gamblin Cold Wax Medium is compatible with many Gamblin oil mediums, and this information is available on their website. For other brands, please check with the manufacturer. Drying agents should be used either on initial layers, consistently throughout, or on a dry painting as a finish-- not mixed randomly throughout as this will create an uneven drying situation. What is necessary to do with a finished CWM painting? Is CWM a new product? Not at all—some form of cold wax medium was probably used in ancient times along with the earliest known use of encaustic or heated wax. Beeswax as an additive to paint was known as early as the 1st century BCE. It is difficult to research the use of CWM in more modern times since many artists have used it for years without making any special note of it in describing their work—it is simply a medium added to their paint. The current interest in the unique properties of CWM may be related to the surge of interest in encaustic painting notable in the past decade. Many artists are interested in both processes. 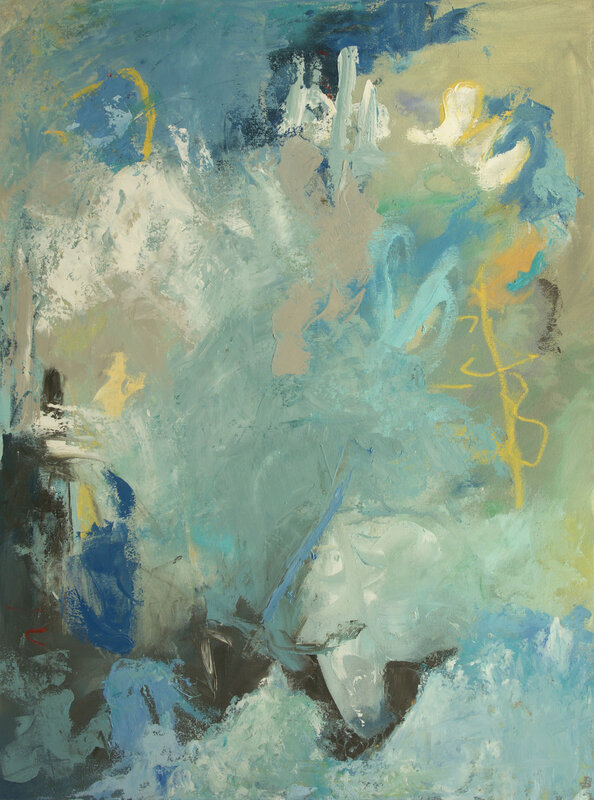 Using CWM for abstract painting is the focus for many contemporary, process-oriented painters. Why should I give CWM a try?